All estate agents will be required to hold a professional qualification under new government rules to crack down on "rogue" operators. Managing agents will also be forced to reveal the fees they receive for referrals to solicitors, surveyors and mortgage brokers. 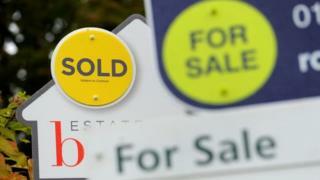 Housing Secretary Sajid Javid also vowed to tackle "stressful" delays faced by buyers and sellers. Estate agents welcomed the plans but Labour called them "small scale". According to government research, there are approximately 20,000 estate agent businesses across the country, and currently, anyone can practise as an agent. However, it said a minority caused problems and that about a quarter of sellers said they would use a different agent if they were to sell their home again. The government also vowed to tackle "gazumping", where a seller pulls out of a sale to take a higher offer from another buyer. Instead buyers and sellers would be encouraged to sign lock-in agreements and face losing money if they backed out of a deal without justification. It said delayed decisions currently contributed to more than 250,000 house sales falling through annually. Mr Javid said: "Buying a home is one of the biggest and most important purchases someone will make in their life. But for far too long buyers and sellers have been trapped in a stressful system full of delays and uncertainty. "So we're going to put the consumers back in the driving seat." Paula Higgins, boss of campaign group the Homeowners Alliance, said: "These reforms - which the HOA called for - will go a long way to bring more certainty for homeowners and help stop sales falling through. "In an industry tarnished by Wild West attitudes, these reforms will send the cowboys packing." Mark Hayward, head estate agents body NAEA Propertymark, said he welcomed the commitment to further regulation. "We have long argued that estate agents should be recognised as professionals. This is an important step towards achieving this and we look forward to working with the government." But John Healey MP, Labour's shadow housing secretary, said the proposals fell "far short" of the changes needed to help homeowners and first-time buyers. "Homeownership rose under Labour but has fallen under the Tories and there are now a million fewer younger households owning a home than there were in 2010. "At the same time, this month ministers have scrapped Support for Mortgage Interest payments that helped over 100,000 homeowners last year." Last week the government also introduced new measures to crack down on rogue landlords. It will launch a national database that allows councils to more easily track landlords who have been convicted of housing or other criminal offences. Tougher laws could also see offenders hit with lifetime bans from leasing homes.